BERLIN (DPA)–More than 2,000 Turkish nationalists demonstrated in Berlin on Saturday against recognition of the Armenia’s genocide that took place under the Ottoman Empire in 1915. 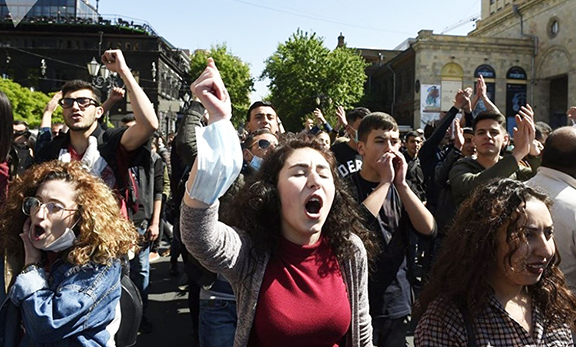 The protesters demanded–among other things–the repeal of a resolution passed by a unanimous vote in the German parliament last year that called on Turkey to hold an open dialogue on the Armenian genocide. The resolution has contributed to a rift between Germany and Turkey. A Berlin court on Friday allowed the demonstration to take place under strict conditions–including not characterizing the Armenian genocide as a lie in either speech or on placards. The march had originally been banned by the police.